Keira has a sleek look that’s perfect for your home office. The brass base adds a touch of glamour. Swivel away in style. Designed with comfort in mind. Lean back into the supportive back and armrest while you take that important call, then tackle your workload without distractions. Upholstered in a luxe-looking velvet, Keira also features a refined piping detail along the edges. 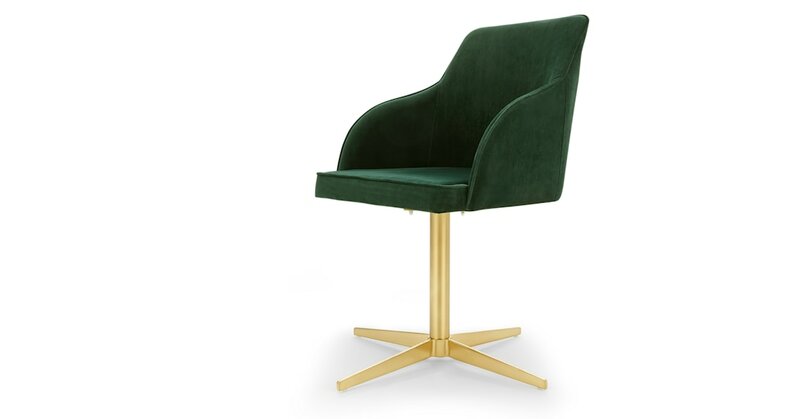 In Pine Green velvet to bring some opulence to your workstation.